Destination Weddings is one of the hottest bridal trends today. 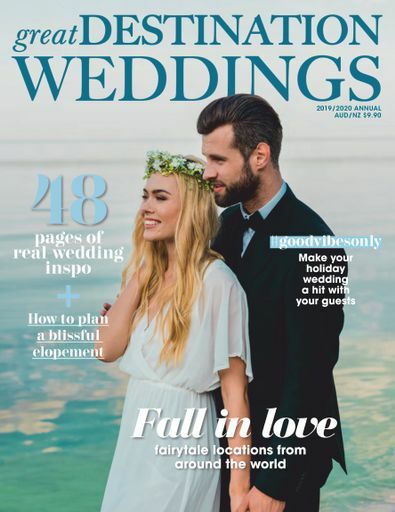 Great Destination Weddings magazine is the ultimate guide to holiday weddings both in Autralia and overseas and offers fabulous inspiration on a range of destinations. Be the first person to tell us what you think about Great Destination Weddings and you'll save $5 on your next purchase! This is an annual publication. The magazine will be delivered in July. Your subscription will begin with the next available issue.